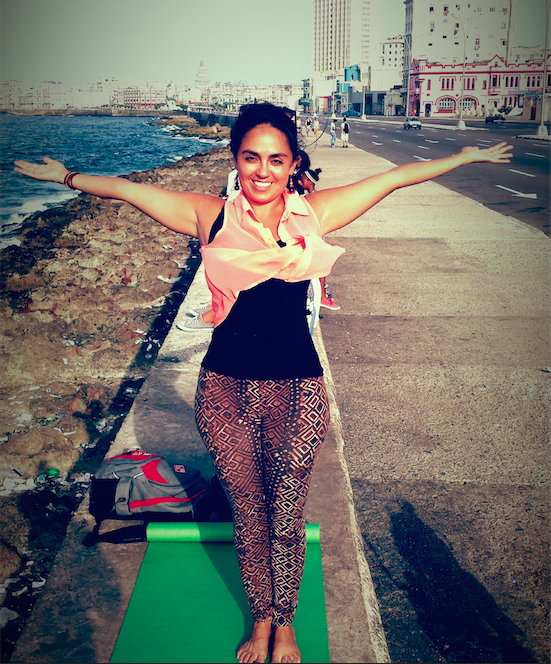 Over the next two weeks, Angelica Salazar, a 33 year-old Chicana traveling in Habana, will take over our Instagram account. #Oshun is sun gazing in Callejón de Hamel. Art plus spirit. #lahabana by Guest Instagrammer Angelica @knowmadica. Angelica: I am not Cuban, although I have been traveling to the island since I was 14 years old. I am originally from New Mexico, like ORIGINAL. My family on both sides have been on the same land for nearly 500 years, and I identify as a Chicana. I have been working as an activist/policy advocate for nearly ten years to “normalize” relations between the US and Cuba. CK: Can you tell us about your work in Cuba throughout your career and what drives your interest in the country? Angelica: I first came to know Cuba on a family educational trip in 1996 for my mother’s 50th birthday. I returned in 1999 with a camera crew/delegation and did a documentary on the impact of the U.S. embargo on the common Cuban people. Then in 2001, I returned on my own to study at the University of Habana and stayed with the same Cuban family that I had met in 1996. I studied language, culture, dance, and religion while I was there. Professionally, I have worked with various nonprofits and advocacy organizations that specifically work to change U.S. policies toward Cuba, to end the U.S. embargo on Cuba, and to lift the U.S. travel ban. I am driven by the fact that I have had friendships with the same Cubans for 19 years and, throughout those years, I have observed and was stirred by how U.S. policies have affected their lives. I worked for a few years in Washington D.C., focusing on advocating for legislation that would end the travel and trade embargo. CK: What are your favorite Cuban foods, and what do you look forward to most when you visit the island? Angelica: I love stuffed tostones with tomato sauce, cheese, and jamon (Tostones rellenos). I also seek out good ropa vieja, which is shredded meat. And I am still looking for Arroz con Pollo, rice and chicken, like my deceased Ada used to make. I love me some croquetas de pollo o jamon (chicken or ham). I love mango season here… I can eat mangos with anything! I have introduced to many of my Cuban friends mango with salsa picante (hot sauce), like they do it in Mexico. For me, everyday is a new learning experience in Cuba. The people are extremely innovative and inventive, and they constantly surprise and inspire me. I like to be challenged in my thinking and perspective; that what I most enjoy here. This coming week, I will visit parts of the island I have never been to, including the furthest eastern points of Baracoa to Santiago. I am looking forward to sharing the lessons learned and the delicious food that awaits in my photos!